The increase in life expectancy and elderly people in society, coupled with changes in family structure, have highlighted the importance of formal and informal caregivers of elderly people. Objective: To analyse the social representations of violence against the elderly, of two groups of formal and informal caregivers. Methods: Exploratory, quantitative and qualitative research, supported by the theoretical-methodological reference of the Social Representations Theory and in the context of this, the Central Core Theory. The sample was participated in by 81 formal caregivers from the project “Aging in Safety in the Alentejo - Understanding to Act, of the University of Évora” and 20 informal caregivers from the project “Qualification of caregivers and aspects related to the quality of life of the elderly people dependent on primary and tertiary care: Implementation and protocol evaluation, of the State University of Southwest of Bahia”. We used the Free Word Association Technique. The data was analysed by prototypical analysis based on two matrices by the software IRAMUTEQ (Interface de R pour les Analyses Multidimensionnelles de Textes et de Questionnaires) 0.7 alpha 2. Results: In Portugal, the elements “bad, mistreatment, I will be, sad, anger, patience, physical, injustice, irritation and meanness” stood out in the central core. In Brazil the mention of “hitting” was emphasized. 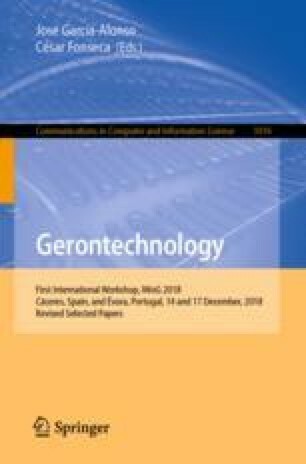 Conclusions: In both Portugal and Brazil, physical violence takes on particular significance in the social representations of caregivers, rather than verbal and psychological violence, which is not present in the central core of social representations of violence against the elderly in either of the countries.